A podiatrist directs low frequency sound waves, also known as shock waves, at the injured area through a hand held applicator. The shock waves penetrate deep into the soft tissues, stimulating blood flow, accelerating the body’s natural healing process. Generally four treatments over four weeks are needed in our office, each lasting about 15 minutes. 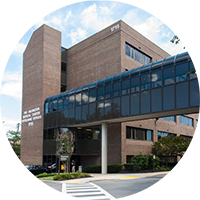 EPAT is an acronym for Extracorporeal Pulse Activation Technology (extracorporeal means “outside the body”). It is a highly effective, non-invasive, office based treatment that accelerates healing of injured tissues. EPAT has a proven success rate equal to or better than other treatment methods, including surgery, without the risks or long recovery. It is performed in our office without the need for anesthesia. 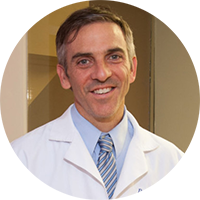 Dr. Ben Pearl is trained in providing EPAT treatment and is the best person to speak with. Hamstring injuries take a notoriously long time to heal sometimes as long as 3- 6 months. 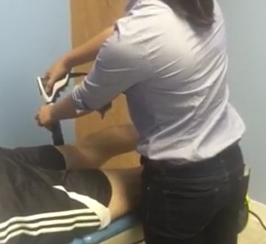 This is a video of Dr. Pearl receiving an EPAT treatment for his hamstring injury suffered while playing soccer. Stay tuned for an update!